6061 T6 aluminum cages weighing only 29 grams. Available anodized black and epoxy white. Many mountain bikes have very little space between the top tube and the down tube, making it difficult to put your water bottle into the cage. 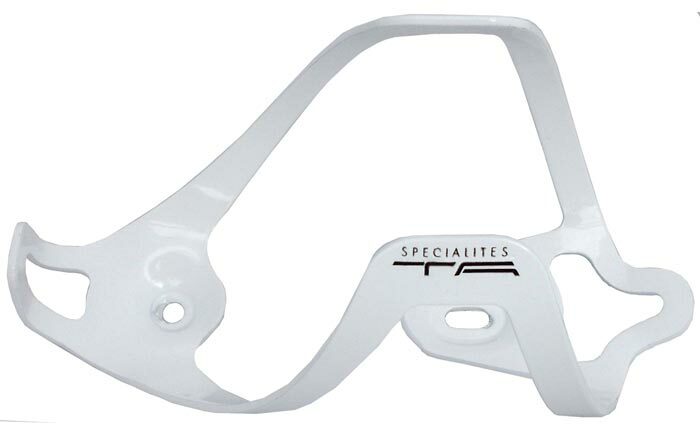 TA's Asymétrique cages make it easy to get at your water bottle. Two versions, one for right side access and the other for left side access let you slide the bottle in from either the right side or the left. And your bottle is held securely. As with the standard SIN-SLR cages, these are only 29 grams from 6061 T6 aluminum. 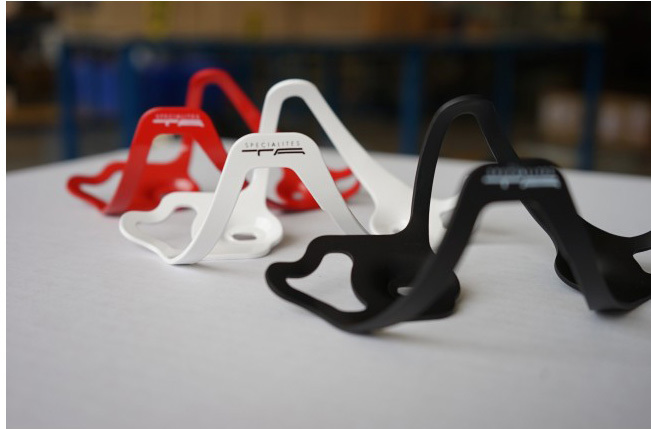 Choose from right side or left side, black anodized, white epoxy or red epoxy finishes. "Right Side" assumes the cage in mounted on the bicycle's downtube. 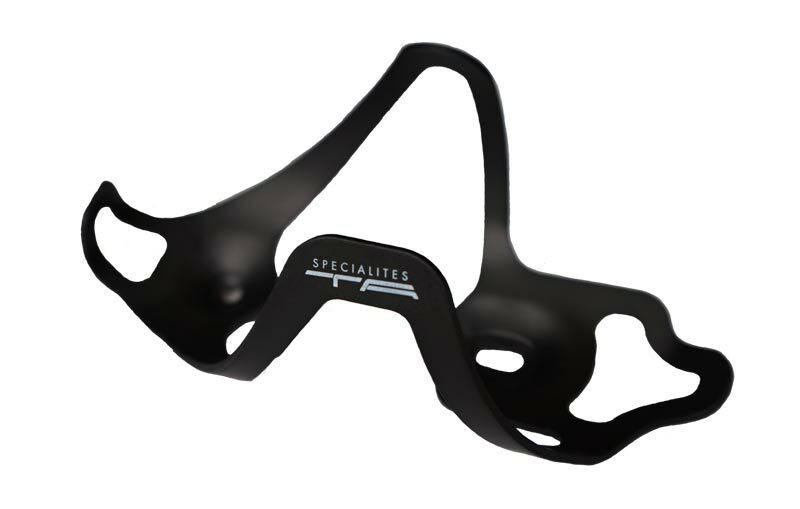 Note: If you use the Asymétrique cage on the seat tube, and want to insert the bottle from the right side of the bike, you would use one of the "Left" side versions.